UPDATED townhouse 3 bed 3 bath centrally located in the heart of Boca Raton. This stunning 2-story townhouse features three master bedrooms with walk in closets + in- suite washer and dryer and two private courtyard patios. 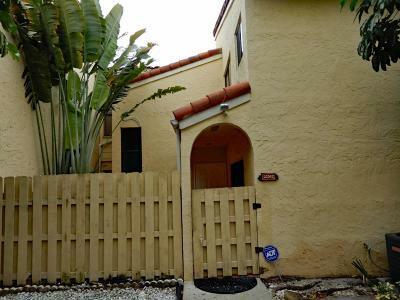 Close to i-95, Town Center Mall, A+ schools, shops and more. School Name Grades Distance Del Prado Elementary School K–5 1 Omni Middle School 6–8 3.7 Boca Raton Community High School 9–12 2.7. Owner prefers non smokers. Listing Courtesy of Prestigious Homes Realty, Inc.